There are many complicated terms used in the legal profession which includes lawyers, advocates, barrister, attorneys, and solicitor generals. It is difficult for people outside of this profession to understand the meaning of these terms and the associated duties of each person. Lawyers and advocates seem to be the commonly used terms, especially for people seeking legal redress in courts. However, people do not usually understand whether they need a lawyer or an advocated because they cannot distinguish the difference between the two members of the legal profession. This article is geared towards expounding on the differences that exist between a lawyer and an advocate so that people outside of this profession can understand. A lawyer is any person who is studying a law degree so that he or she can be admitted to the legal profession to represent clients in the court of law. Besides, any person who possesses a degree in law is considered a lawyer. An advocate is an individual within the legal profession who possess a law degree and goes further to represent clients in the court of law. An advocate presents the pleading of the client in an attempt to help him or her to win a case and avoid jail term or be compensated depending on whether he or she is a complainant or the accused. One of the primary difference between a lawyer and an advocate is through their description. It is clear that a lawyer is a person who is studying the law degree or who possesses a law degree. This means that any person who is studying law and those who have graduated can be considered to be lawyers. 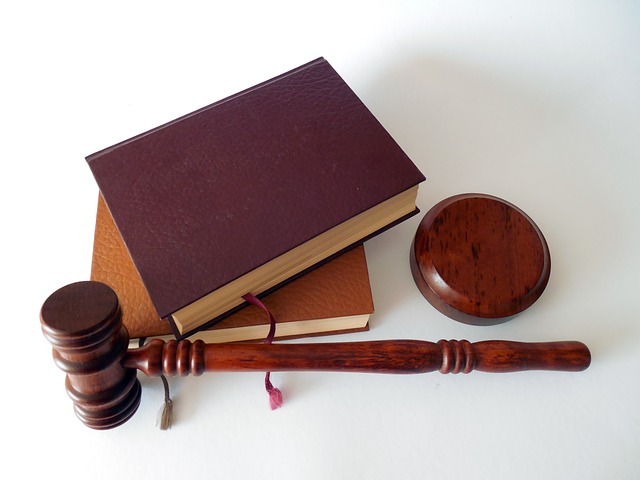 This means that the term lawyer is very general and is used to represent any person in the legal profession including attorneys, solicitors, and barristers among others. On the other hand, the term advocate is particular and is used to refer to an individual who represents the client in the court of law to plead for release or compensation depending on the prevailing circumstance. The other difference is that not all lawyers are eligible to be admitted to the bar to represent their clients in the court of law while all advocates are eligible for admission to the bar so that they can serve their clients in various situations. This is because the term lawyer is used to cover a wide range of category for all those individuals who are either studying or have graduated with a law degree. Therefore, even students are considered lawyers while it is in public domain that they are not qualified to represent clients in the court of law, which means that not all lawyers can be admitted to the bar. On the other hand, all advocates are qualified and are thus admissible to the bar to represent their clients. Given that an advocate has gone under rigorous training in the specialized schools of law where he or she has graduated with a law degree and gone further to be admitted in the bar, he or she is considered to be more skillful and experienced in legal aspects as compared to a lawyer. It is worth noting that advocates have not only graduated with a law degree but have also practiced the legal profession in the legal arenas. This is not the case to all lawyers because some of them have not even graduated from their respective law schools. Others have just graduated from various law schools but are to engage on legal matters, which make them less skilled while at the same time lacking in experience. Given that an advocate has vast experience and knowledge in legal matters, he or she is highly involved in representing clients in courtrooms and pleads the cases on behalf of the clients while at the same season trying to get the best verdict for his or her client. Moreover, it is essential to highlight that the advocate is obligated with the duty of speaking on behalf of the customer in the courtroom while at the same time being responsible for asking and answering all questions that may be directed to the client by the opposing side. This not the same for the lawyers who mostly do not represent their clients in the court of law. Majority of the lawyers are involved in giving legal advice to their clients in matters concerning the law, but they do not have full responsibility of representing a client in the courtroom. The charges and compensation involved when one hires an advocate are much higher because he or she is highly educated, knowledgeable, and experienced in handling legal matters. On the other hand, the charges and compensation methods involved when consulting a lawyer might be significantly lower because such a person may not have the necessary experience to litigate. One of the most critical aspect to understand is that lawyers and advocates perform different duties concerning the country. All the countries under the Commonwealth bracket seem to have a similar legal structure where their lawyers and advocates perform related duties, which is not the same in the United States and other countries around the world. Individuals should, therefore, understand the legal system in their country so that they can differentiate between the roles of a lawyer and an advocate. Jecinta Morgan. "Difference Between Lawyer and Advocate ." DifferenceBetween.net. March 12, 2018 < http://www.differencebetween.net/miscellaneous/legal-miscellaneous/difference-between-lawyer-and-advocate/ >. Brickhill, Jason. "The right to a fair civil trial: The duties of lawyers and law students to act pro bono." South African Journal on Human Rights 21.2 (2005): 293-322. Freedman, Eric M. "Revised ABA Guidelines and the Duties of Lawyers and Judges in Capital Post-Conviction Proceedings." J. App. Prac. & Process 5 (2003): 325. Kemp, Donna R. "Resident advocates: A mechanism for protecting the rights of institutionalized mentally retarded." The Journal of Behavioral Health Services and Research 11.2 (1984): 48-51.